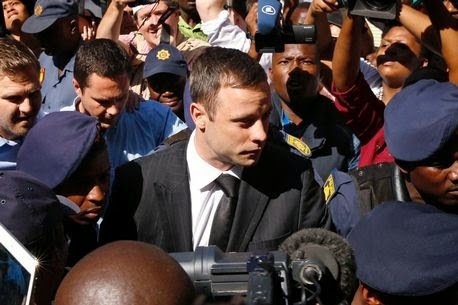 For killing his girlfriend Reeva Steenkamp on Valentine's Day in 2013, double-amputee athlete Oscar Pistorius has been sentenced to 5 years in prison by Judge Thokozile Masipa. The following was what she considered before imposing her sentence. 2. For the Tasha shooting which he was found guilty for - 3 years in prison, wholly suspended for 5 years with conditions. The two sentences will run concurrently. His family is not planning to appeal. He will serve a minimum of 10 months in jail, after that, he'll be sent home to serve the remainder of his sentence under strict supervision controls. This will be up to South African Correction Services. What do you guys think of this sentence? Too light, severe or appropriate?